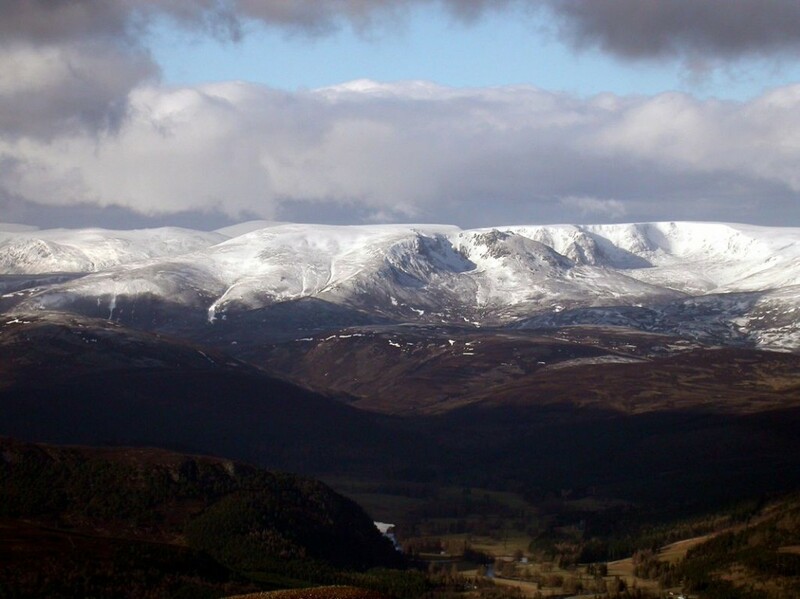 The Cairngorms are the most extensive area of high mountain terrain in Britain. The area has given its name to gem quality smoky quartz, and has also produced spectacular specimens of beryl and topaz. In Victorian times, hunting for crystals was both a popular pastime and a ‘cottage industry’. Nowadays the area is a National Park and few fine specimens have come to light in recent years. 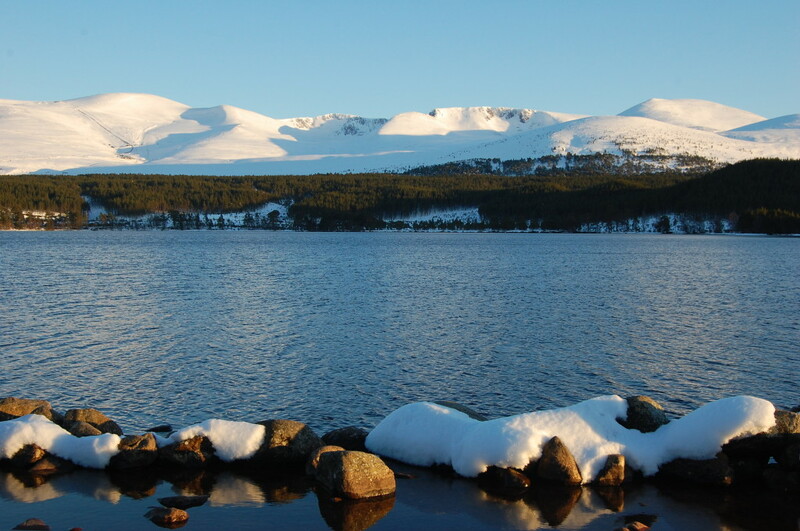 The Cairngorms is an area of dramatic and rugged scenery, recognised formally by its designation as a National Park in September 2003. 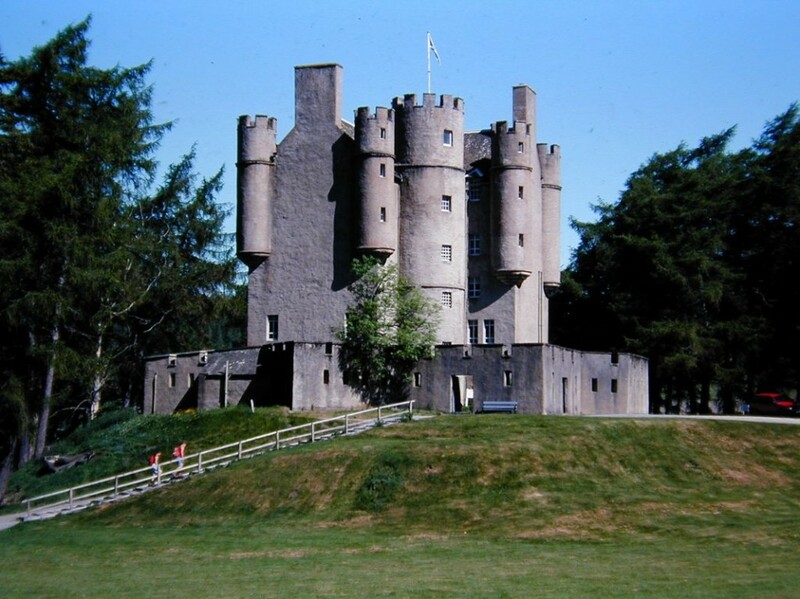 The Cairngorms National Park is the UK’s largest, and most northerly National Park, and is home to five out of six of Britain’s highest mountains and the Queen’s summer residence at Balmoral. One in four of the UK’s endangered species live here, in a landscape that offers a broad selection of glacial landforms. The local population of over 17,000 people is swelled by 1.5 million visitors each year. In 2012, the US magazine National Geographic named it as one of the world’s 50 Last Great Places, calling it “the destination of a lifetime”. A vast body of literature exists describing many different aspects of the area, and numerous early travellers and writers have passed through and commented upon the natural wonders and beauty of the region. 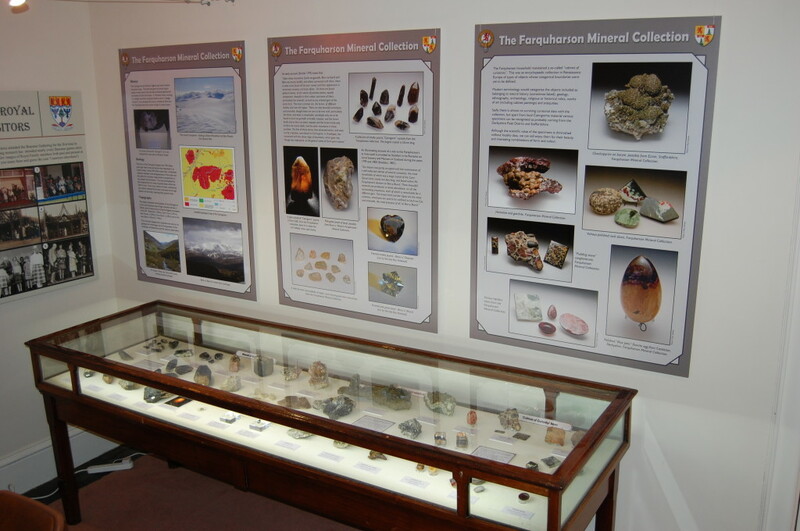 Thanks to the efforts of collectors over the past few hundred years, interesting and beautiful specimens of the various mineral crystals can be seen and enjoyed in public and private collections today, together with the faceted gems cut from some of them. Without their dedication and resourcefulness, these would be nothing more than stones on a mountainside, probably never to be appreciated or enjoyed. The chance of turning up a really fine specimen nowadays is slim indeed, but with a modicum of luck, and a keen eye, occasional worthwhile finds can still be made. 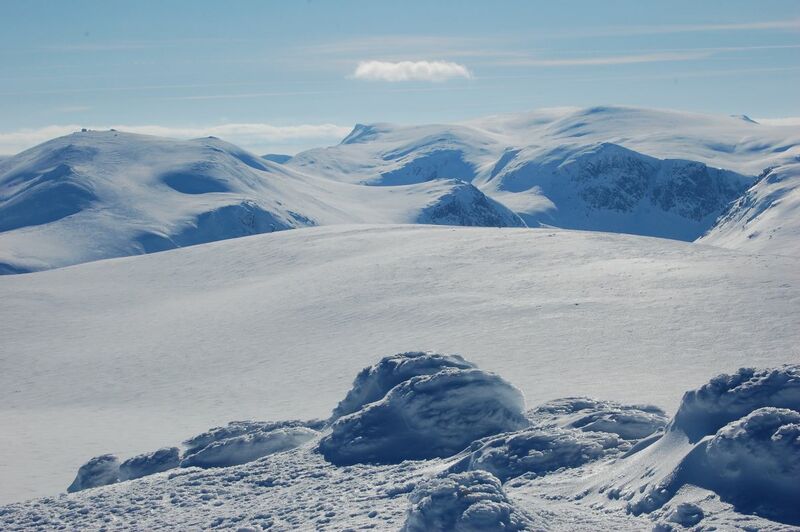 The Cairngorm Granite lies at the heart of our story. This tough igneous rock is highly resistant to erosion and forms the dissected highland plateau which is the Cairngorms. The distinctive shape of the mountains owes its appearance to the properties and distribution of this rock, and the minerals which occur in it are directly related to its geological origin and history. Within the granite occur cavities, and veins or pockets of pegmatite which contain the gem minerals. These are yellow, smoky or dark cairngorm quartz; yellow-green or blue beryl; and colourless to pale blue topaz. These latter two minerals are very much rarer than quartz, both locally and on a world-wide scale. The gem minerals have been prized and sought after for centuries. If transparent, they can be faceted and polished to produce attractive stones that can be used in jewellery and for other ornamental purposes. The smoky, or cairngorm, quartz in particular, has been found as very large crystals and crystal groups (up to 20kg in weight) and the value of these as mineral specimens, rather than gemstones has long been recognised. Much of the quartz is, in any case, too dark to be used as gem cutting material, although there is evidence that the lapidary trade resorted to heat treatment of dark specimens in an effort to improve their colour and commercial value. If this was successful, such specimens were commonly sold as citrine. The Cairngorms are perhaps best-known as a source of smoky quartz, and to which the area has given its name, but remarkable specimens of both beryl and topaz have also been collected from the area. Associated with these minerals are less dramatic species such as bertrandite, fluorite, genthelvite, phenakite, spessartine, xenotime and various feldspars and micas. 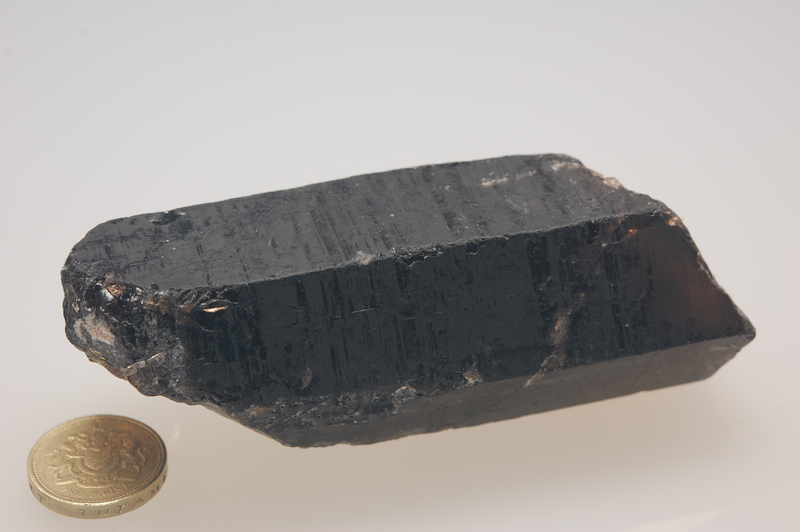 Quartz is the second most abundant mineral on earth after the feldspars. Chemically it is silicon dioxide (SiO2), and is of widespread occurrence in many different rock types, particularly sandstones, and as an essential constituent of granites. Quartz is a hard material, chemically and mechanically resistant, hence its common occurrence in stream and river sediments, and on beaches (as sand). If it is well-crystallised, quartz forms easily recognised hexagonal prismatic crystals. 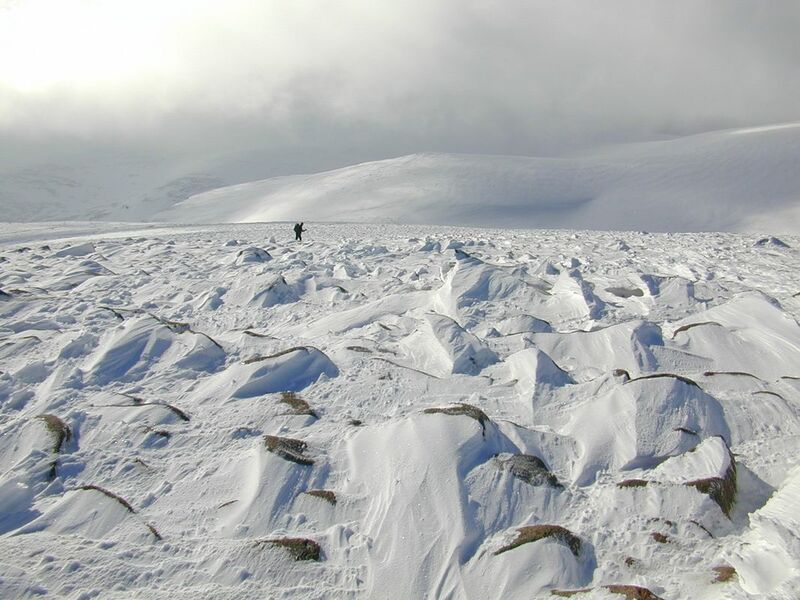 Quartz occurs in a variety of forms in the Cairngorms, most obviously as large blocks of massive milky quartz strewn across the plateau, and as veins which crop out in crags. Crystals of milky quartz are not uncommon amongst the debris on the plateau, but seldom make worthwhile specimens. Fragments of smoky quartz ranging from a faintly smoky-brown colour, through mid-brown cairngorm, to black opaque ‘morion’ occur widely across the area, particularly in the gravels around stream courses and in ‘wash-outs’ on the plateau. 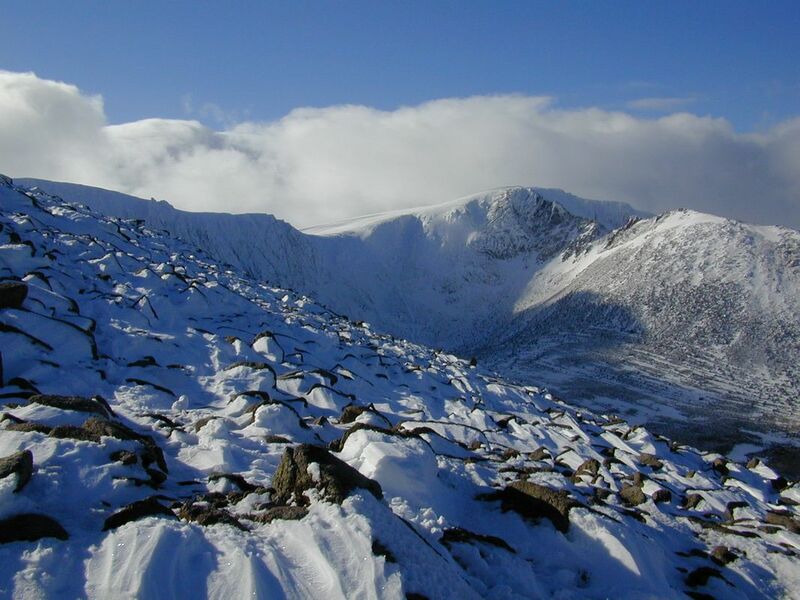 Larger broken pieces, and occasionally rounded or weathered crystals, turn up from time to time in the gravels and screes of the high Cairngorms. More rarely, well-formed crystals may be encountered in-situ in a vug or cavity, in a patch or a vein of pegmatite, or in the general mass of the granite itself. Sometimes, relatively well-formed and undamaged crystals may be seen, weathered out in surface debris, close to their original source. Beryl is a silicate mineral of beryllium and aluminium, with the chemical formula Be3Al2Si6O18 and is very much less common in the Cairngorms than smoky quartz, but significantly more abundant than topaz. Well-crystallised, beryl forms distinctive hexagonal prismatic crystals, with flat (pinacoidal) terminations. It is slightly harder than quartz and has a similar specific gravity (2.76, compared to 2.65 for quartz). Beryl is of widespread occurrence in the Cairngorms, generally as waxy yellow-green prismatic crystals up to a few centimetres in length, enclosed in granite, but also as disseminations in granite, and as distinct well-formed crystals in quartz. 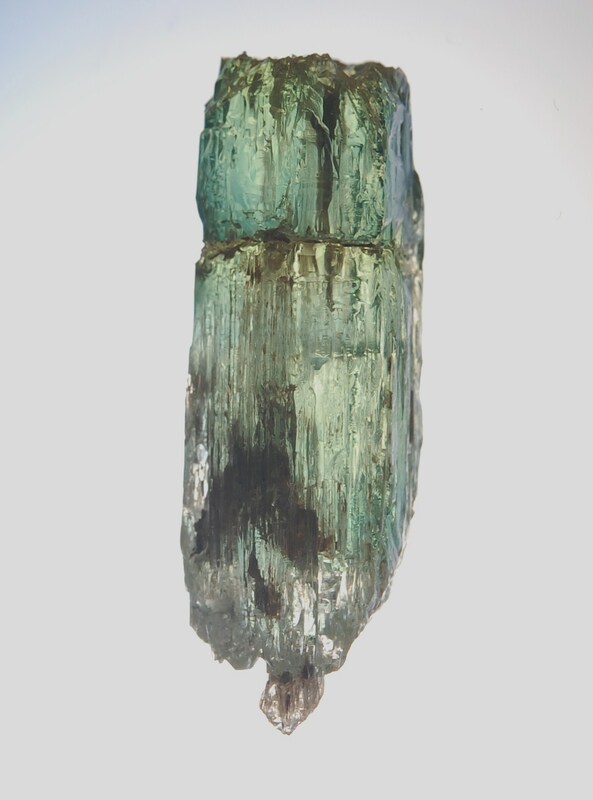 Exceptionally, beryl occurs as gem-quality, transparent colourless, blue, yellow-green or green prismatic crystals. Many of the beryl crystals recovered from the Cairngorms are deeply etched and corroded as a result of the action of highly corrosive late stage fluids. Such fluids, sometimes including high concentrations of hydrogen fluoride which is required to form topaz, may alter beryl to phenakite or bertrandite, and rarely to genthelvite, all of which have been reported from the Cairngorms. Topaz is a silicate mineral containing aluminium and fluorine with the chemical formula Al2SiO4(F,OH)2 and is by far the least common of the Cairngorm gemstones. The single most striking distinguishing feature of topaz is the noticeably high specific gravity (3.55) compared to that of quartz (2.65), and which is readily discernible when ‘weighing’ a specimen in the hand. Another useful aid in recognising topaz, is that any striations run parallel to the prism faces (i.e. along the length of the crystal), whereas in quartz such striations are across the width of the prism faces. 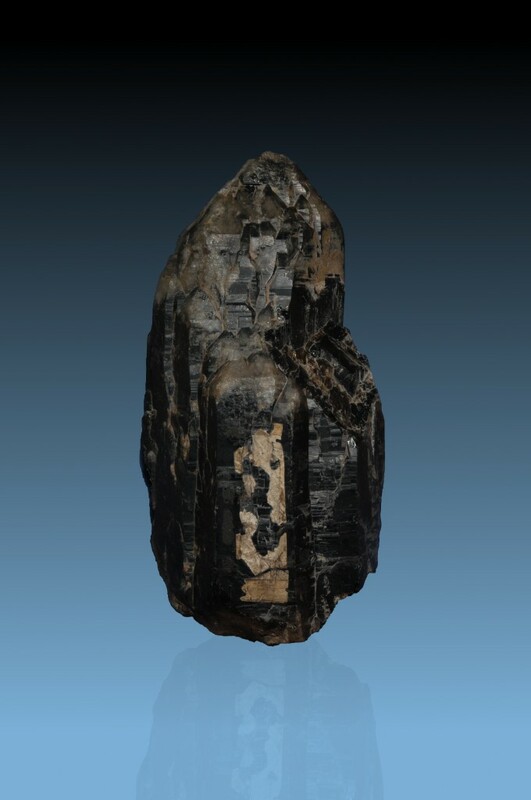 It is characterised by great hardness, and perfect basal cleavage (which is evident in many specimens), a tendency to split across the prism of the crystal to give a mirror-bright cleavage plane. Pure topaz is colourless, but it is often coloured by various impurities, and is then typically yellow, reddish-orange, or pale blue. Most specimens of topaz from the Cairngorms are colourless to pale-blue. Early accounts often confused “topaz” with quartz, and indeed this confusion may sometimes have been a deliberate policy of deception on the part of the finders or sellers of the material. 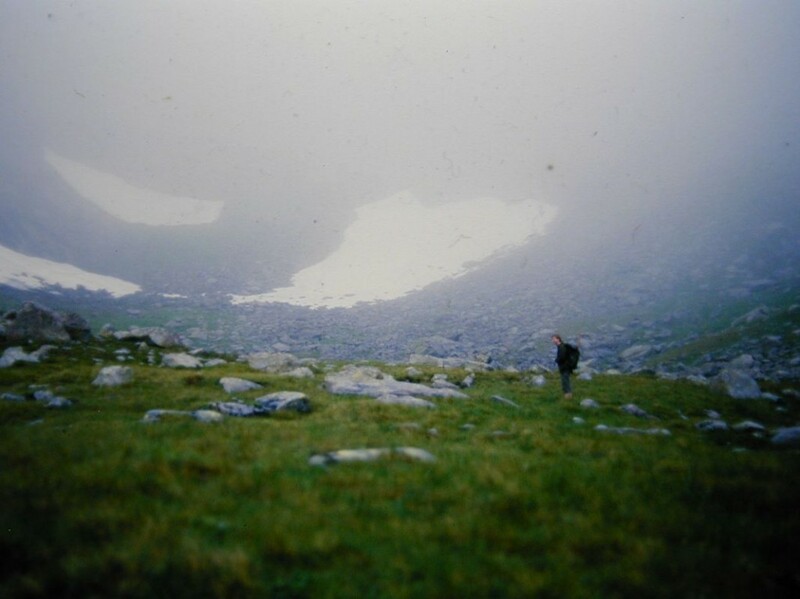 The majority of specimens of topaz found in the Cairngorms appear to have been recovered as water-worn pebbles, from stream and river gravels. Although well-formed crystals do occur, and some such specimens survive, these are very much the exception. Some remarkably large specimens of topaz have been collected and described from the Cairngorms but sadly no trace of these specimens has been found. The largest surviving specimen of topaz from the Cairngorms is on display in the Mineral Gallery of the Natural History Museum in London. 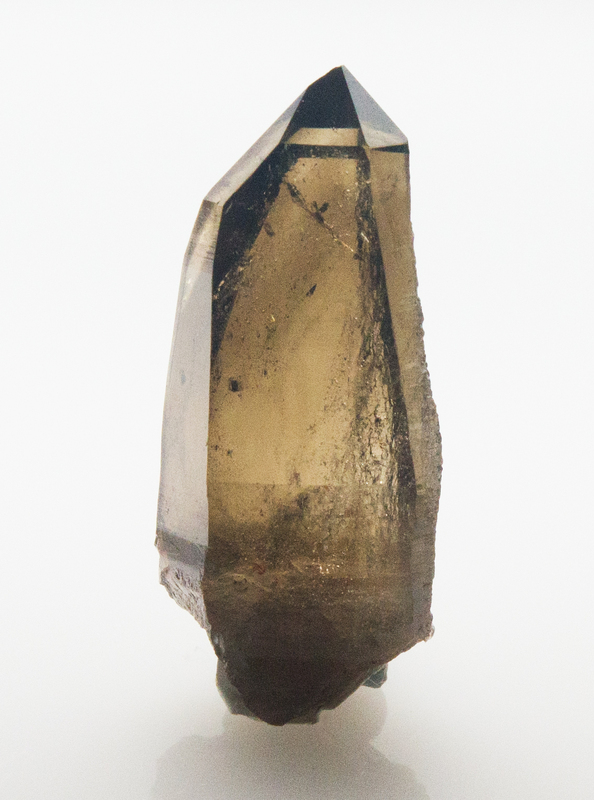 It is possible that topaz is more common than appears to be the case, because it may often have been overlooked, or mistaken for pale or milky quartz. 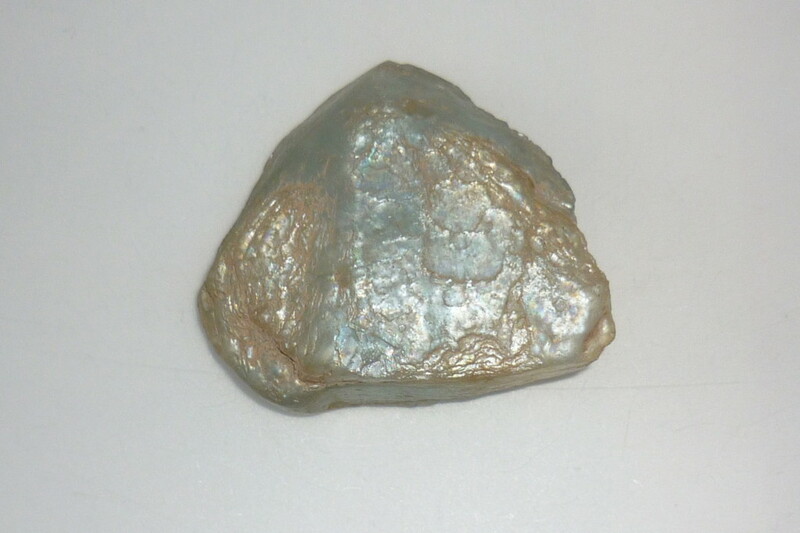 Recent finds of topaz, say in the last 50 years or so, appear to have been very few and far between, but waterworn pebbles are not uncommon in old collections. 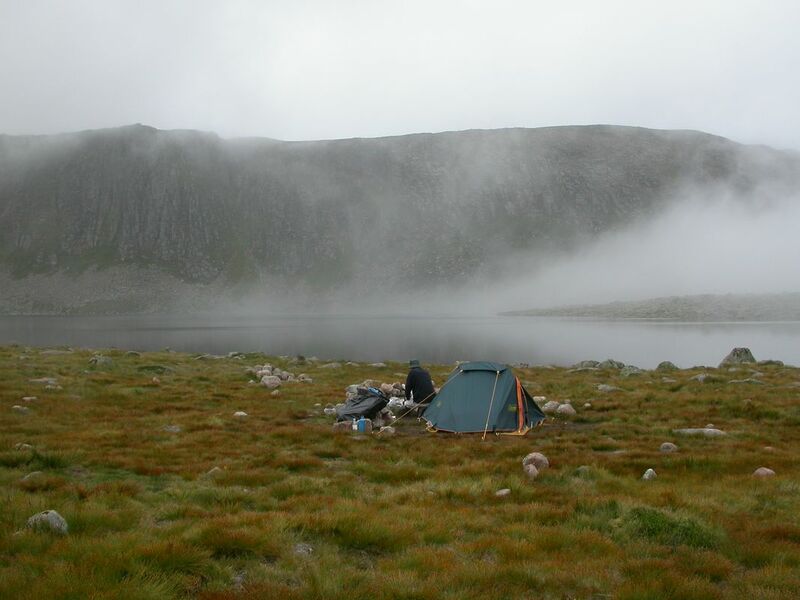 One of the great attractions of the Cairngorms is the wilderness nature of much of the area. This means that a reasonable degree of physical fitness and appropriate competence in mountain craft and navigation are pre-requisites for intending visitors.